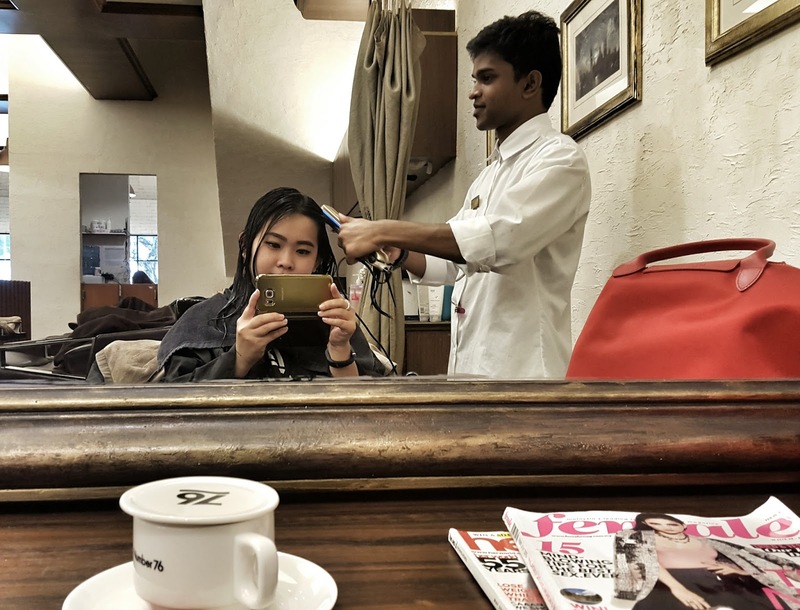 Posted on June 26, 2015 December 2, 2015 by Michelle L.
I just discovered the delights of Japanese-style hair pampering. 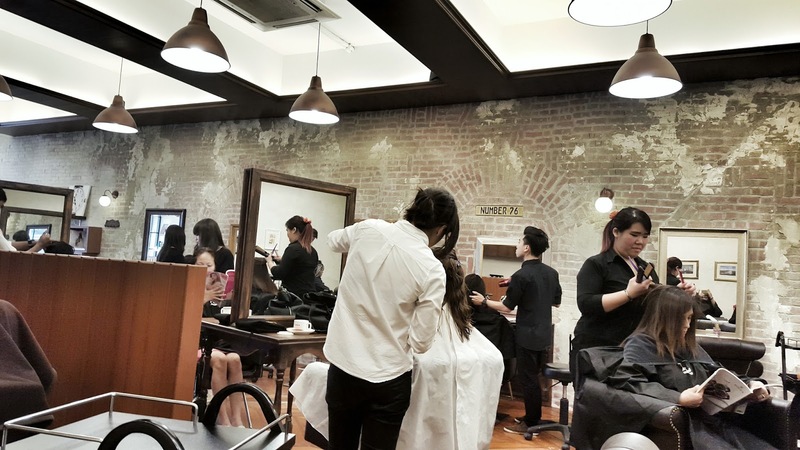 Number 76 is no new kid on the block, with already 5 outlets within the Klang Valley, but the Japanese hair-salon concept is relatively new in Malaysia. 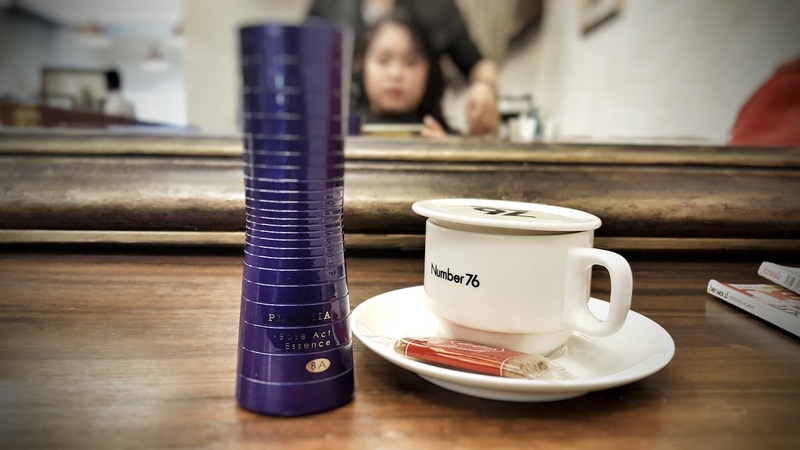 I didn’t think much about the difference between our regular salons and Number 76, until I was given the opportunity to get my hair pampered there. I arrived at the Bangsar outlet along Jalan Telawi, and just like all its other outlets, the Number 76 on Telawi is industrially-chic on interior, with a lot of wood and unfinished brick/cement walls. Even the facade is chic in white bricks and wide glass panels. I was promptly given a seat at a large, large mirror. The place was busy, but I had this section all to myself, and I took some time to observe the various activities being carried out by the busy staff. I find that Number 76’s patronage is mostly women but surprisingly, there were also a handful of men too. Anything from hair cuts to coloring, treatment and styling up-dos, there’s quite a lot of things they can actually do for your mane. 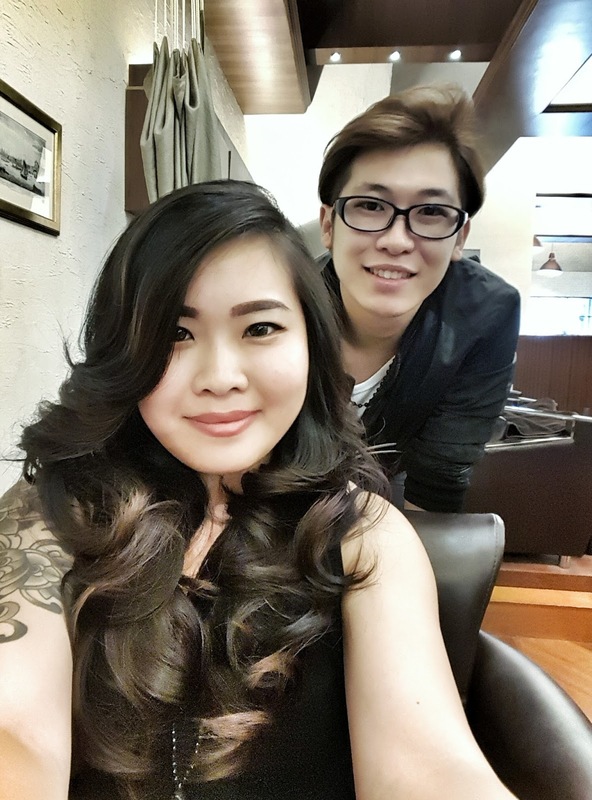 My hair was assessed by Ivan (one of the best stylists there, in my opinion) and he decided that my hair is way too dry after all that Balinese sun and coloring. So he prepped my mane for a Ultrasonic Premium (rrp. 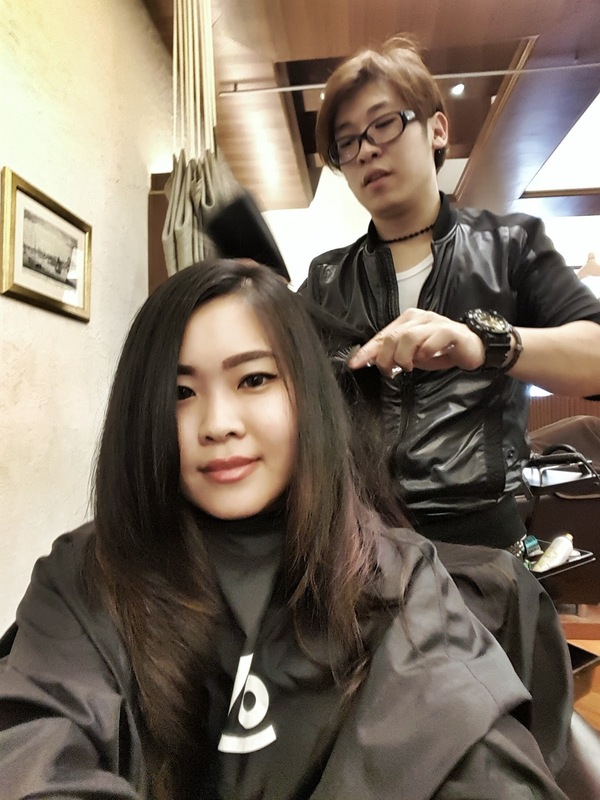 RM370) hair treatment, and told me to just relax. 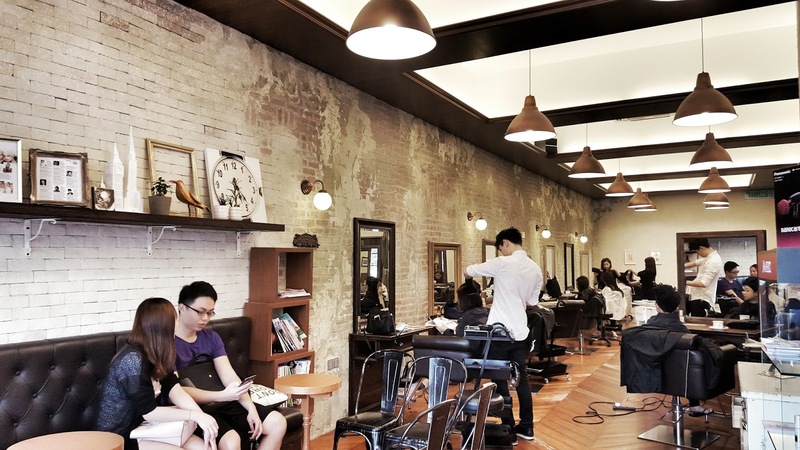 There were a lot of moisturizing Japanese products used, and it is always different for everyone as they tailor each session per customer, depending on the hair condition. Basically, I got a nice hair wash, before they applied a moisturizing white creme all over. Then a special Sonic Premium vibration tool is used. This tool has an ultrasonic vibration that works to break the molecules within each strand to help in nutrient absorption. 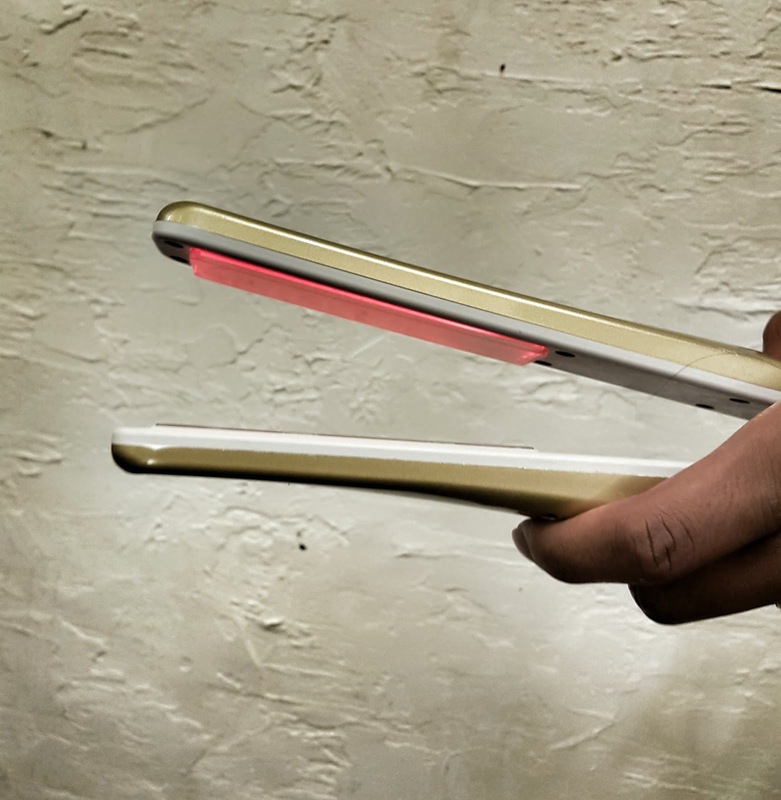 It’s not hot, although it looks like your typical hair straightener. I even tested it out by putting my finger in between, and it’s fine, it gives off a quick tingly vibration. The treatment is said to last up to a month, or more with proper care. The process takes about 20 minutes where the Sonic Premium tool is moved laterally across each section of hair a couple of times to ensure that the vibration aids the absorption of the creme, which has collagen and various moisturizing agents in it. Right after, the creme is washed off and another treatment creme is applied while I lay on the sink-armchair (what is the official name for this? A shampoo chair?) and snoozed a little. One amazing thing is that they have an eyemask to put over your eyes so that you do not have to either: stare awkwardly at the person bending over you to wash your hair; or scrunch your eyes tight against the overhead lights which can be very bright. So thoughtful! 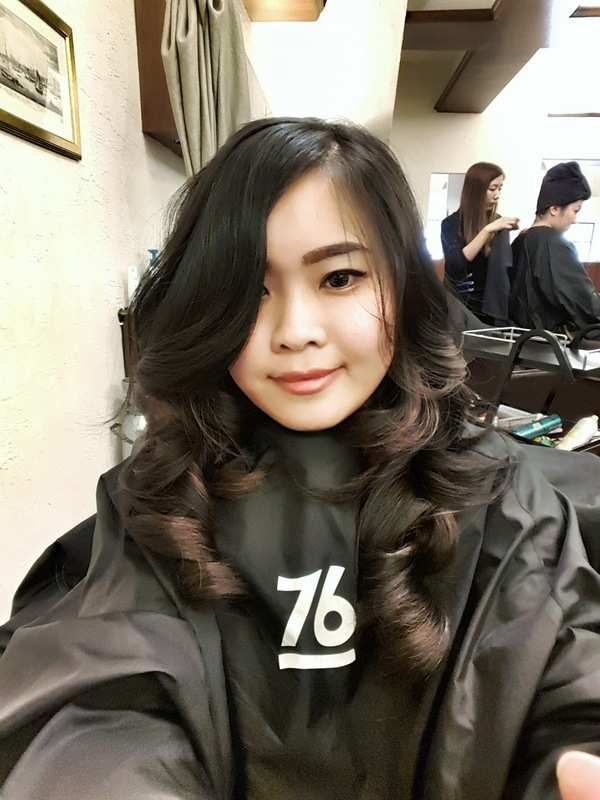 It all ends with a nice blow-out and Ivan is specially amazing for creating my favorite kinda curls, without using a curler. He used a hair straightener to quickly roll out these curls, amazing or what?! And all the products used are either Shiseido or some premium Japanese brand, which has got the loveliest scents! Overall, I had a pleasant experience, as true to the Japanese way, everyone there were friendly and did their best to make everyone else feel comfortable and good. I guess my mane has now found a new place to get pampered. 😉 To see what they have on offer, head on over to Number 76 and check out their extensive menu. Do call ahead for an appointment!